Dr. Ollar's office is located in Boulder, Colorado, easily accessible to the greater Denver metro area. Dr. Ollar will give provide directions to her office when an appointment is scheduled. You may email Dr. Ollar at drsusan.ollar@gmail.com or call her at her office at 303.499.4869 for inquiries or to schedule an appointment. 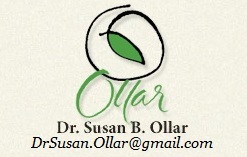 Please note that a written or verbal communication with Dr. Ollar will be treated in a confidential manner. However, such communication does not and cannot constitute the creation of a doctor/patient relationship. A doctor/patient relationship is agreed to during a scheduled appointment and upon signing a written agreement.